We built a mortgage-free homestead. You can too! We’ve lived on our property for one year and one month now, watching the sun go through her seasonal dance through the sky. Being on the north side of our hill, we don’t get as much direct sun as we’d like, so we’ve spent a lot of time considering the best spot to site our bigger tiny house. I am thankful for the time we’ve had to watch the light change through the year. Where should we site the house? Tucking the house in the woods would be lovely, but in summer, we get lots of rain. Being totally shaded would encourage mold and mildew. Moving the house out of the trees and into the open spot right in front of the tiny house, would not only block the tiny house’s view, but the sun would beat down on us in the heat of the summer, and we’d still be in the long winter shadows. Nestling the house just below the tree line seems to be the best option for us. Here’s why: the shade of our tall forest will protect us from the summer heat, there is airflow around the house, and we will get filtered light all year. In fall, the trees drop their leaves and the sun will sit low on the horizon, peering into our large windows all winter. This decision has a finality to it. Each time the season changed, I was glad we hadn’t already built the house, because we learned something new about the land and the light. There does come a time when one must decide or risk being paralyzed by indecision. It’s a real scary commitment, decision. Here we are: at the leaping off point, but our careful consideration of the options makes it feel okay in my gut (that’s how I know it’s right). Now that we’ve made these big decisions, we can see progress. Karl, in his sweet Latvian get-it-done way, took down five trees in the four hours I was away at work. (How am I going to get video of this process if he keeps getting it done while I’m gone? ;) He took down two leaning pine trees, some weeds-turned-trees and an old locust. Just that bit of clearing opened the forest. It’s exciting to make way, to see the future. 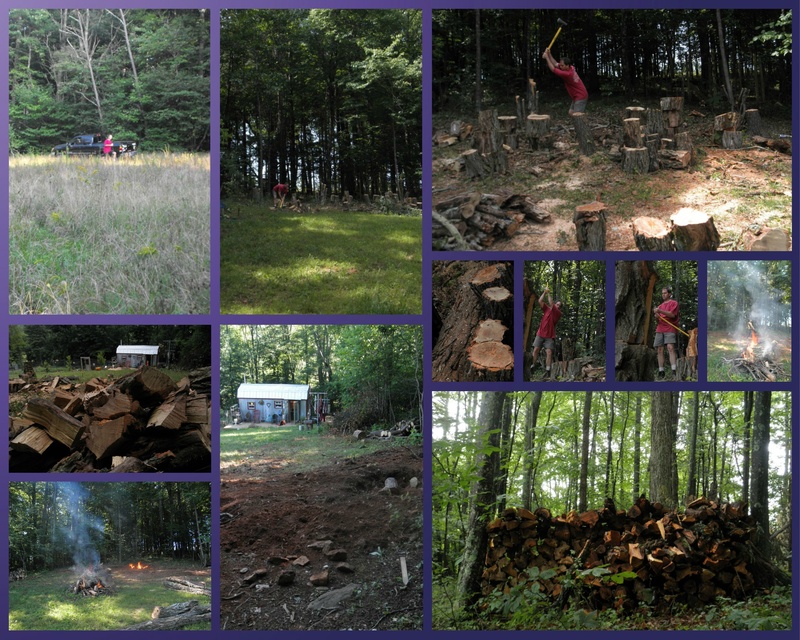 After felling the trees, Karl cut them up and chopped the locust into logs for our future wood stove. Locust is an ideal firewood, burning hot and clean. I enjoyed hauling and stacking the wood, all the while imagining the cozy feeling of throwing my first piece of that locust into our sweet little wood stove in our bigger tiny house. Building intentionally is a fulfilling practice. Hold the vision of the life you want. Make everything you do a step toward that life. Create a closed loop system: your life feeds your life. For example, making way for our bigger tiny house encourages the health of the forest and gives fuel to our future fire. Seek connection to the land upon which you live. Give to it, and it will give back. Finding Your Way in a Wild New World: Reclaim Your True Nature to Create the Life You Want . I’m gonna check the library for it this week. Sounds inspiring. She discusses “Breaking Through Decision Deadlock” which is a real obstacle to living the life we want. Have you read it? What did you think? After helping over 250 people get started on the path to mortgage-freedom, we've learned a lot more about what it takes, the pitfalls, the tricks and triumphs of living a zero-debt life of intention. We're taking what we've learned and creating a whole new series of courses to help even more of you reach your dreams. Sign up for our newsletter to get first dibs on the limited seats in our new course. Love the post! I can’t wait to see your house grow! I live under some beautiful trees, scares me to death….we live in tornado alley 🙂 But I enjoy them most of the year! Thanks, Debra! Great to hear from you! Hope all’s well in your tiny world. Thank you for sharing your process. It’s helpful to see how others approach major decisions. And thanks for the book recommendation–that looks like something to look into. After a thought-provoking weekend, we have engaged in much lively (!) conversation about choices, and being “stuck” and acting on faith and following our instincts…and making decisions, so your post is s timely one. Indecision holds us all back and I may be guilty of this too but in a different way. I find myself pushing others in my pathway to decide under the ruse of it making my path clear but it annoys me and I hope to not be this person some day. My mom tells me that you find fault in others when it is something that needs to be checked within yourself. I’m so happy for you guys and plan on doing the exact thing. There are many people doing this. Most of the blogs aren’t specific in detail. Like, is the house considered a recreational home( you can only live in it so many months out of the year)? What is the land for ( residential, commercial…etc)? What City, County offices did you get permission to build from? How far away from civilization are you ( 15 mins…4 hrs)? Any advice would be helpful. I’ve hit so many walls trying to live my dream…. Thanks for reading! To answer your questions: 1) Our home is for year-round living. 2) We have residential land in a rural community. 3) We built on a flatbed trailer, so our home is tagged as a trailer and insured as a homemade travel trailer. 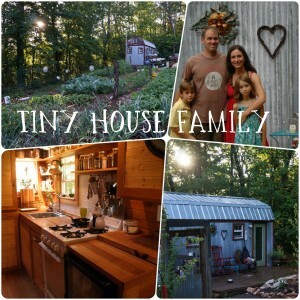 This is a good overview of building on a trailer: http://www.tinyhousedesign.com/2010/08/19/road-limits-for-tiny-houses-on-trailers/ . 4) Though we live in a rural community, we are only 2 miles from town with a grocery store and a few restaurants. I am in the beginning stages of starting what you are in now your second phase of doing. I look forward not only to a no mortgage life, but just a lower overhead life. I have been thinking of buying land that already has a garage on it “700sq ft garage? gee, think of the possibilities! well, gather the funds to buy land is one thing, but I have been researching my ideas for years now, and feel ready to take my next move once I get the money to do it ( soonish). Once I get all my tools together, and finally buy the land, I am sure I will have a few questions for you! Thank you for sharing your life. Thanks for reading and commenting. A 700 ft. garage would be a great temp. home while you build and would solve a lot of storage issues. What a dream :). Though without a garage, we’ve been forced to come up with creative solutions, and I appreciate the value in forced creativity. But a garage would be handy. Good luck on the land purchase! So many possibilities when you own your own land. Keep in touch! 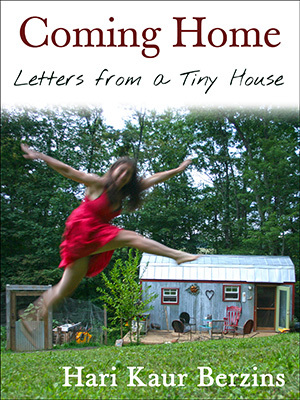 What happens to your mind and heart when you move into a tiny house? The classes and support are AWESOME!